ARAUCA, July 24, 2014 - Soldiers carry the bodies of members of the National Liberation Army (ELN) killed during an operation of the military forces in the rural are of the Fortul municipality, Arauca department, Colombia, on July 23, 2014. Colombia's Ministry of Defense said Wednesday the armed forces killed 13 leftist rebels and captured eight in two separate operations. 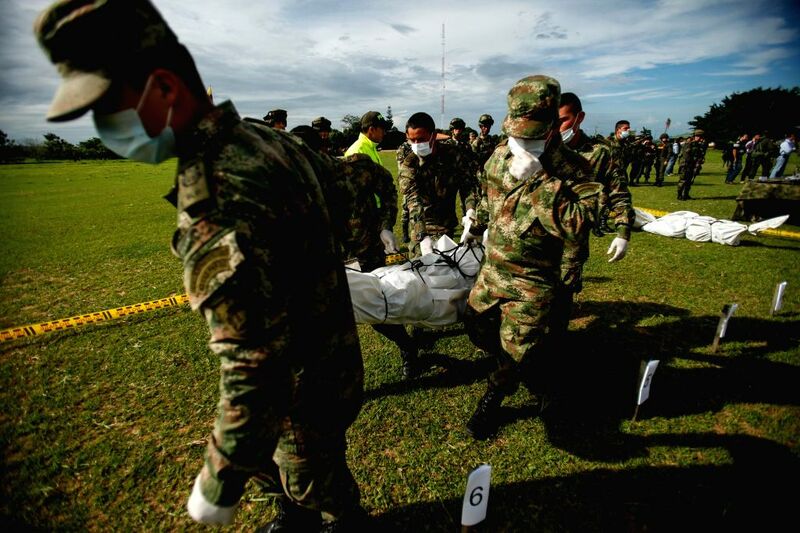 Defense Minister Juan Carlos Pinzon said the first operation took place between the towns of Tame and Fortul, in the northwest department of Arauca, when a military task force clashed with members of the ELN, killing eight rebels. 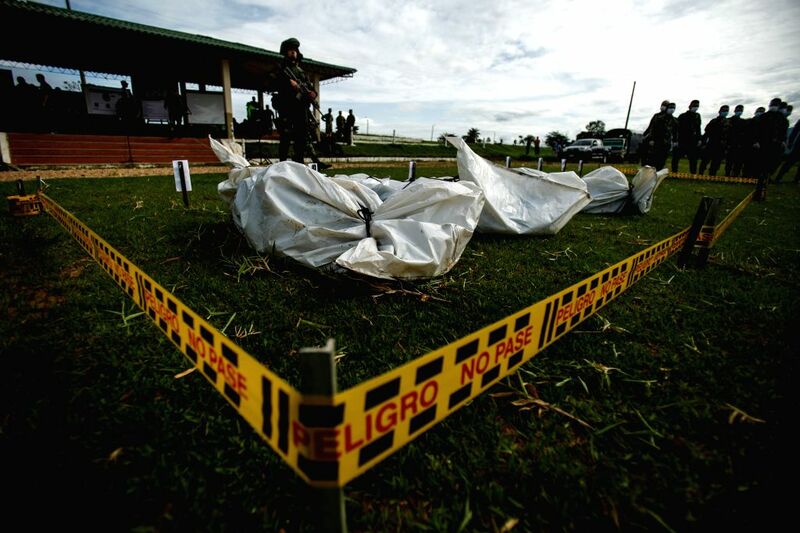 Soldiers guard the bodies of members of the National Liberation Army (ELN) killed during an operation of the military forces in the rural are of the Fortul municipality, Arauca department, Colombia, on July 23, 2014. 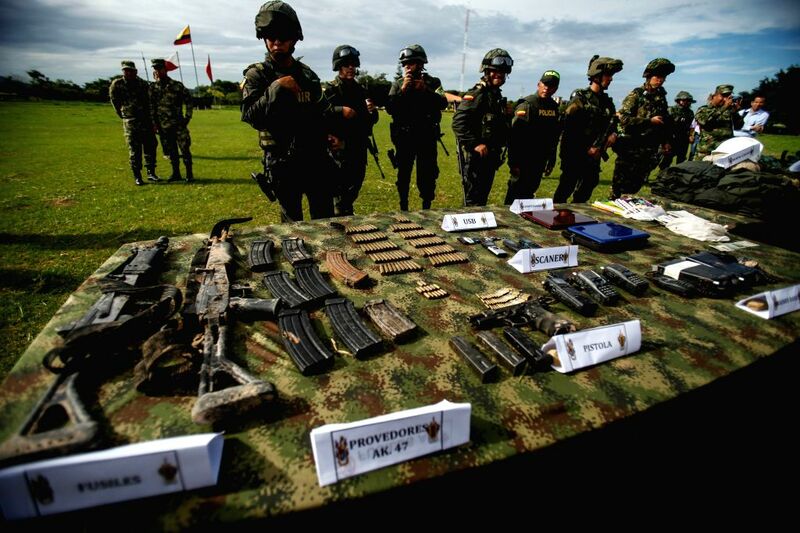 Soldiers guard seized guns and objects of members of the National Liberation Army (ELN) after an operation of the military forces in the rural are of the Fortul municipality, Arauca department, Colombia, on July 23, 2014. 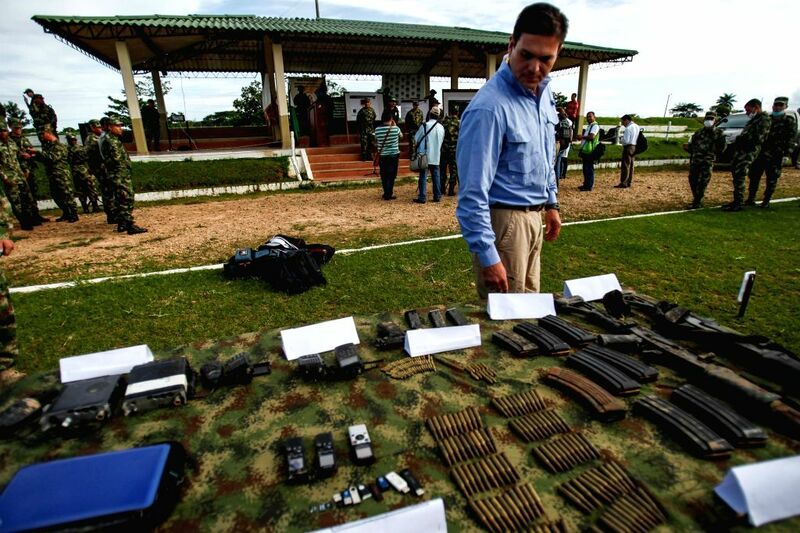 Colombian Defense Minister Juan Carlos Pinzon looks at seized guns and objects of members of the National Liberation Army (ELN) after an operation of the military forces in the rural are of the Fortul municipality, Arauca department, Colombia, on July 23, 2014.